Louisburg, Kansas, resident Mary Anne Sause says police ordered her to stop praying in her own home. 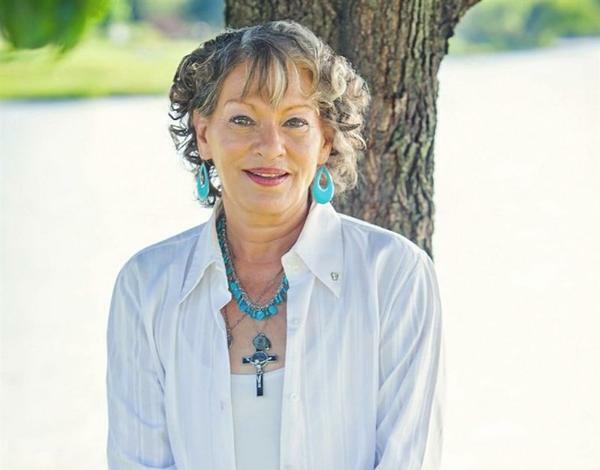 Mary Anne Sause was listening to Michael Savage, the conservative radio show host, when Louisburg, Kansas, police showed up at her apartment door. They’d fielded a complaint that her radio was playing too loud. The retired nurse didn’t open the door at first. She said she was wary after she’d been raped years earlier. She called a friend, who came over just before the police returned and banged on the door. She opened it but left the screen door locked. A devout Catholic active in the anti-abortion movement, Sause said she showed the two Louisburg officers the pocket Constitution she always kept handy. “That is just a piece of paper that doesn’t work here,” she said one of the officers told her. And so began a legal saga that ended up in the U.S. Supreme Court, culminating Thursday with a brief unsigned opinion finding that a lower court should not have dismissed Sause’s civil rights complaint against the officers. The case has both First and Fourth Amendment implications. That’s because after Sause admitted the officers to her apartment — that’s where Fourth Amendment principles governing search and seizure come in — they told her she was going to jail. She then asked one of the officers for permission to pray — that’s where her First Amendment religious rights arise — which he granted. When she dropped to her knees and began to pray, however, the other officer mockingly ordered her to get up and stop praying. That encounter with the police occurred in 2013. Sause said she spent the next two years seeking an apology from the Louisburg police. When that didn’t happen, she sued them in 2015, alleging they violated her constitutional rights. “We are glad that the Supreme Court recognized the constitutional rights of law-abiding citizens like Miss Sause and that she’s able to have her day in court. We’re glad because no American should be told they can’t pray in their own home,” said Stephanie Taub, senior counsel at First Liberty Institute in Plano, Texas, a nonprofit legal organization that describes itself as focused on religious freedom and the First Amendment. Taub, who took on Sause’s case after Sause had initially represented herself, said First Liberty reached out to Sause after her complaint was dismissed. The judge had read the complaint Sause drafted as claiming the police violated her First Amendment rights when they ordered her to stop praying and violated her Fourth Amendment rights by refusing to let her enter her bedroom when they were in her apartment. But the judge threw out the complaint, finding the officers were shielded from liability under the doctrine of qualified immunity. The 10th U.S. Circuit Court of Appeals upheld the dismissal, which paved the way for Thursday’s decision by the U.S. Supreme Court. Taub said her organization decided to get involved after reading a sentence in the trial court’s decision stating that while the order to stop praying might have offended Sause, it didn’t implicate her First Amendment rights. While Sause only presented her First Amendment claim to the Supreme Court, the court found that her First and Fourth amendment claims were “inextricable” and sent the case back for further consideration. But the court said it was unclear in Sause’s case whether the police had legitimate grounds for entering her apartment and remaining there. And it said it also wasn’t clear what they wanted her to do after she was told to stop praying. Louisburg Police Chief Timothy Bauer, who is named in Sause's lawsuit, did not immediately return a call seeking comment.